When I saw the card in March's Birchbox regarding the limited edition Tatler box* I assumed this was the April Birchbox, but actually this is a separate box costing £25. If you're an existing subscriber you won't be getting this box unless you purchase it separately. Birchbox have teamed up with British fashion and lifestyle magazine Tatler for a 'The best of British' box containing great products from British brands. The box has had a makeover for the collaboration and I really like the slightly abstract brush stroke effect flowers. When I opened the box I was greeted by products from four brands I'm aware of and two that I haven't come across before. Although admitedly Birchboxes aren't that big the box was jammed full (the lid wouldn't close properly) and it actually had to be sent in a bigger box because one full size product was too big to fit inside the Birchbox. The first product (which doesn't fit in the box) is the Percy & Reed Big, bold & beautiful dry instant volumising spray (what a mouthful!). Percy & Reed are a London based brand that I have come across before and I do currently have one of their shampoos. On the card in my box it claims this is a dry shampoo but going by what it says on the bottle I think it's actually just a volumising spray. I've tried a couple of volumising sprays to try and give my hair some oomph but none have impressed me so far so I'm hoping this will be a winner. This is full size and costs £14. The next product is from another London based brand that I'm aware of and this is the Ciate Paint pot in Maybe baby. I only have a couple of full size paint pots but do have around 30 mini ones from one of their advent calenders and one of their house sets. This one isn't really a shade I would choose myself (and amazingly it's not one I already have) but I do like paint pots and if nothing else it will be useful for nail art. This is also full size and worth £9. The last London based product is the Aromatherapy Associates Renewing rose body cream. I've heard of Aromatherapy Associates but have yet to try one of their products. I'm always up for trying new body lotions in my hunt for the perfect one so I look forward to giving this a try, although I think it's a little out of my price range. This is a sample size of 40ml (full size 200ml for between £32 and £36 depending where you shop). 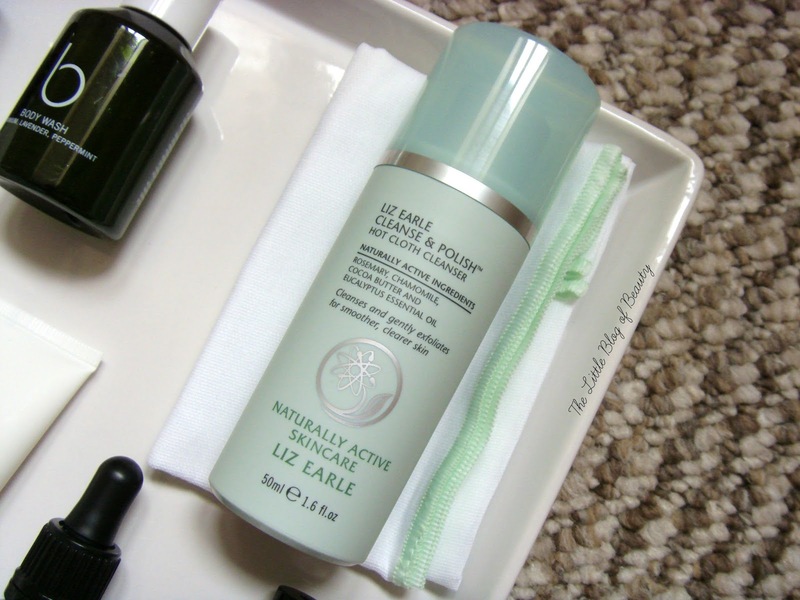 I recently ran out of my first bottle of Liz Earle Cleanse & Polish hot cloth cleanser so I was really pleased to see a mini size bottle accompanied by a muslin cloth. I always find it really annoying when you get a sample of a cleanser that is supposed to be used with a cloth and you don't get a cloth! Obviously I'm already aware of Liz Earle as a brand but I didn't realise they're based in the Isle of Wight. Although this looks like a sample size you can actually buy it in this size (50ml) and it's worth £9.75. The first brand/product I'm not aware of is the Bamford body wash from the Cotswolds. This contains aloe vera and peppermint oil, which sounds lovely, but as it also contains lavender oil I'll need to pass this one on. Sample size of 50ml (full size 250ml for £22). 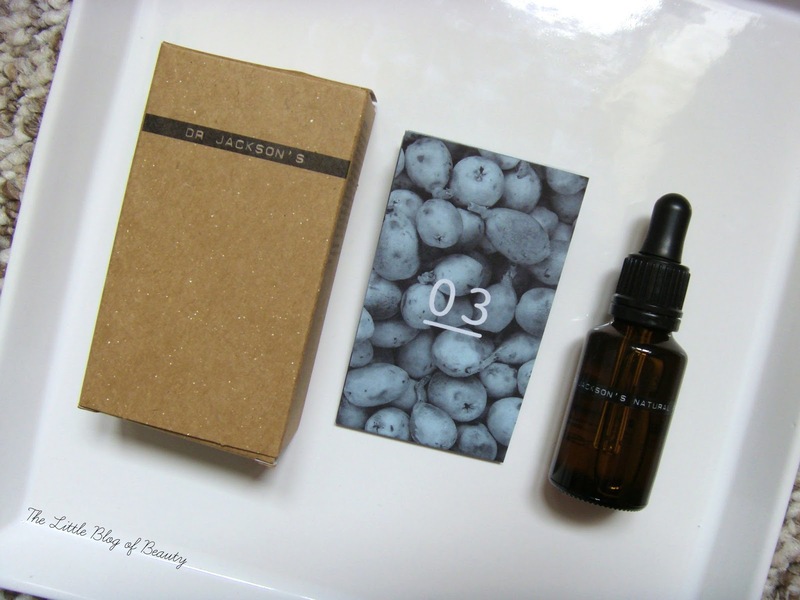 Finally, the last product from Somerset is the Dr Jackson's Natural products face oil 03. I thought the 03 might mean there are different blends of oil available but this actually appears to indicate the type of product. This is packed full of oils including almond, rosehip, evening primrose and calendula and it does sound like a lovely product. This is full size 25ml (although it is also available in a bigger 50ml size) for £30. Although this box is more expensive than the standard subscription box at £25 plus P&P I worked out that the box is worth around £75, which is impressive. 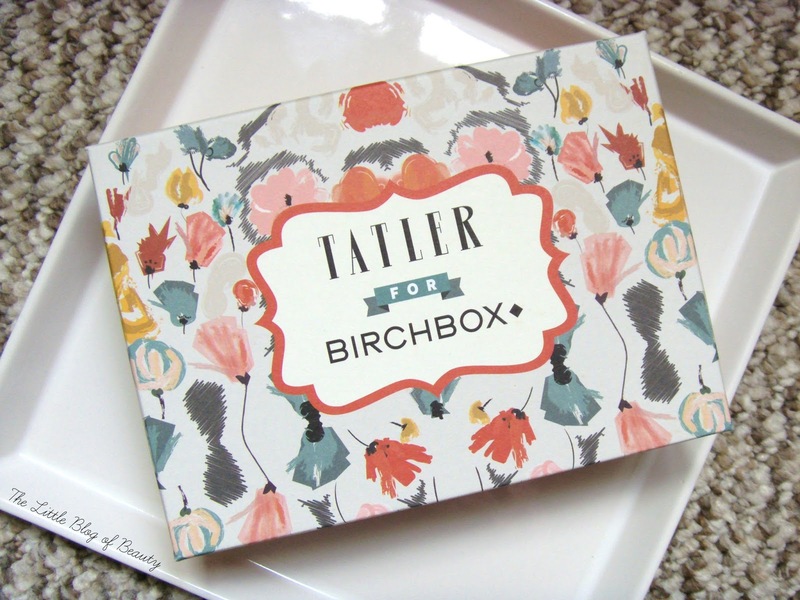 You can buy the Tatler box on the Birchbox website and if you're already a subscriber this will ship with your April box around 9th April. Are you tempted by the Tatler box? I really like the sound of this box. I'm an existing subscriber of Birchbox and have been considering opting for this limited edition box too, but the only thing that's putting me off is the fact that then I'd have spent £40 + this month on beauty boxes. This looks fabulous and I'm a huge fan of Dr. Jacksons (their face creams are to die for!). I wish I could use Vichy products, they always sound so fabulous; unfortunately I react like a mother to every single one (apart from their after sun!). I have given the Dr. Jacksons face oil a try and it's lovely. It smells a bit like lavender (although it doesn't contain lavender) but I can look past that!